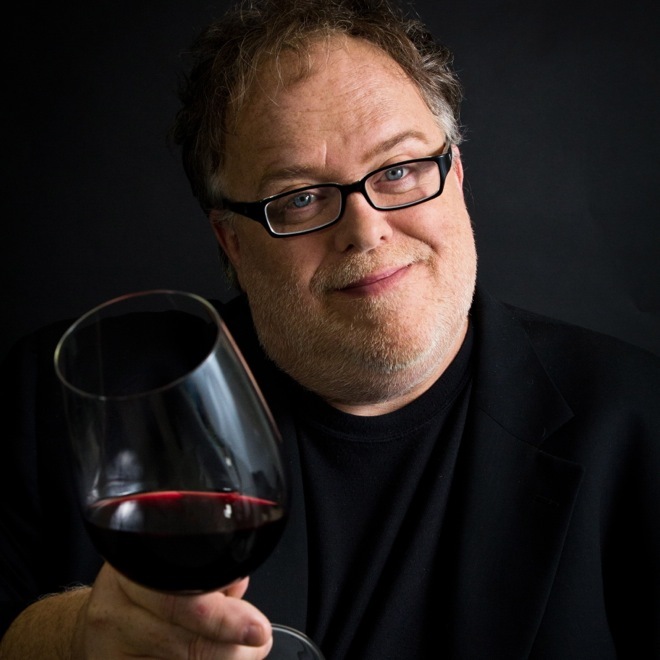 On the less contentious side, his two-hour podcast—The Tasting Room with Tom Leykis—focuses on “fine wine, high-end spirits, and craft brews [plus] first-rate dining and premium cigars” and is recorded weekly. Listening in lets you know almost instantly that Tom appreciates the good life. But in a world filled with so many decadent choices, what does the showman enjoy once the mics go off? Full name (including middle) and age? I can read upside down at normal speed. I can also add and subtract upside down in no time flat, thus frustrating and, often, annoying waiters and others. And, I make the absolute best Italian meatballs in Southern California. How long have you lived in L.A.? How long have you been doing the show here? I have lived in L.A. for a quarter century. I arrived in 1988 to do my radio show, which I did on three stations over a period of 21 years until 2009. My new show, now an internet stream and a podcast with over three-quarters of a million monthly tune-ins, has been coming from Burbank since April. What are some of your favorite places to eat around town? Oh my. There are so many. I have loved The Palm on Santa Monica Blvd. since I first came to visit L.A. in the mid-70s. Dan Tana’s as well. And it would naturally follow that I love Craig’s on Melrose since Craig was at Tana’s for so long. Recently, I have been crazy about pan-Latin Rivera downtown. Argentine food at Carlitos Gardel on Melrose. The food and drink at Blue Palms Brewhouse in Hollywood. Baby Blues BBQ on Santa Monica. And what would L.A. be like without El Cholo on Western? But there are so many other places that do one thing so well: Zankou Chicken. Johnnie’s Pastrami. Dr. Hogly Wogly’s Tyler Texas BBQ. Benito’s Taco Shop. Mercado Buenos Aires in Van Nuys has the absolute best empanadas. And any great food truck such as Kogi BBQ or the Lobsta Truck. How about places to drink? Cocktails, beer, wine, coffee, tea… pick your poison(s). Beer at the Blue Palms Brewhouse or at Melgard Public House. Cocktails at the legendary Smoke House in Burbank. And, call me crazy, but I love to follow a Dodger game with the wine selection at Taix in Echo Park. Coffee and tea I drink at home. How are you in the kitchen? Anything you’re particularly good (or bad) at making? Many friends know my abilities in the kitchen. I make a traditional Thanksgiving dinner from scratch for 20 friends every year at my home in the Hollywood Hills. I spent three years mastering the art of barbecue in a huge smoker. I make a killer pound cake and marble cake. I make an amazing margarita pizza. I was featured in Beer Magazine for my arroz con pollo recipe (which I make with Firestone Walker Double Barrel Ale). I am lousy at making cocktails, which is a shame because I love drinking them. You have got to love the Cheese Store of Beverly Hills. But I’m no snob. I shop for Italian groceries at the Monte Carlo Italian Deli in Burbank: at least 20 varieties of canned Italian roma tomatoes! Huntington Meats at the Farmers Market makes their own sausage. I’ve been enjoying seeing the growth at McCall’s Meat and Fish Co. on Hillhurst. And, like any dyed-in-the-wool Angeleno, I am crazy about Trader Joe’s. What do you feel is the most exciting thing happening in the local food scene right now? In L.A., it’s still all about food trucks: the mingling of cultures on food trucks that began with Kogi BBQ and now continues to merge Mexican food with everything you can imagine. (Did I really see kimchi quesadillas?) It’s interesting when food trucks become brick-and-mortar locations, such as the amazing new Cousins Maine Lobster in Pasadena. What would you want your final meal to be? And what would you want to drink along with it? Any music playing in the background? An In-N-Out Double-Double, Animal Style, with fries. A magnum of 1982 Château Haut-Brion. And the music of the two greatest living jazz piano legends playing together, father and son Bebo and Chucho Valdés. Why wait? I think I’m gonna do that anyway! Next articleWhat Makes One Direction So Beautiful?